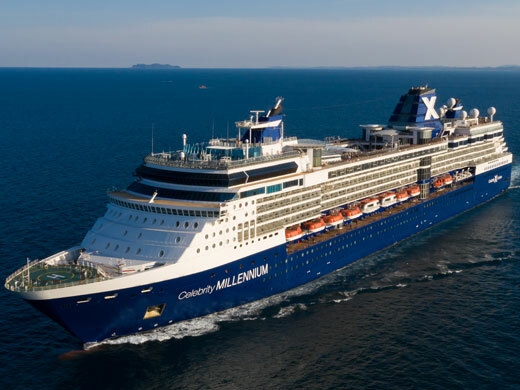 As part of the $500-million fleet-wide modernization program, in February 2019, Celebrity Millennium® will be making even more waves in the cruise world. From adding brand new staterooms and elevating design concepts and technology across the ship to adding The Retreat, an exclusive suite class experience including The Retreat Sundeck and The Retreat Lounge. These new venues, combined with the award-winning Luminae are sure to please. Slip into new eXhaleTM bedding featuring CashmereSM mattresses that will surround you in luxury—literally. Marvel at completely new bathroom modernizations. Wine and dine in reimagined restaurants and lounges, including the main dining room, Oceanview Café, Sunset Bar, and Rendezvous Lounge. Surrender your senses in the newly redesigned spa. Shop in new retail boutiques. The Celebrity RevolutionSM will change the way you experience the world aboard Celebrity Millennium®.